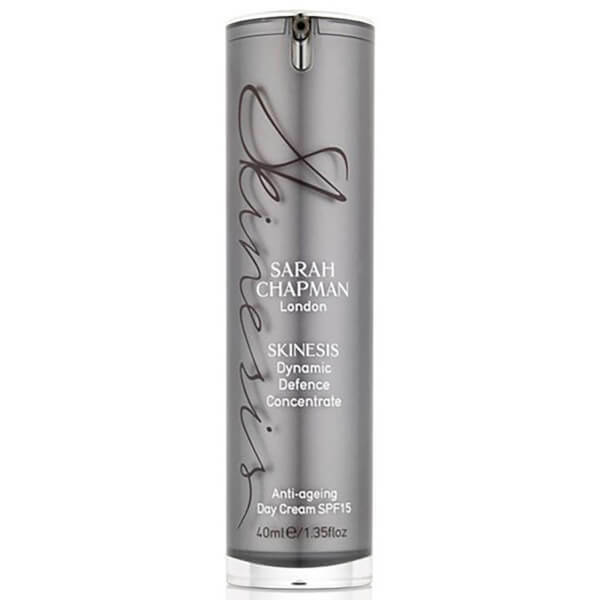 Treat your skin to the benefits of Sarah Chapman's Skinesis Dynamic Defence Concentrate SPF15 Anti-Aging Cream, a concentrated daily moisturiser fortified with broad spectrum UV protection to target signs of ageing and restore skin's natural moisture balance. Ideal for skin experienced in high potency skincare, this day cream combines a double concentration of actives with a triple skin-brightening complex and cocktail of aromatic oils to plump out deep wrinkles, combat dullness and age spots and firm for a toned, more youthful looking complexion. Delivering a comforting, protective veil that shields against oxidative stress and calms irritation, the moisturiser will help restore elasticity and give skin back its youthful bounce. 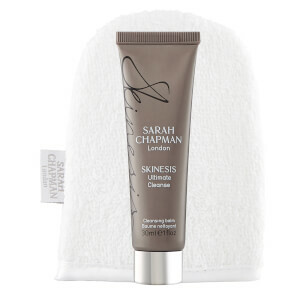 Skin will look, bright, smooth and radiant. Smooth all over face, neck and chest every morning.